Craving ramen? You're in luck: Ichiraku Ramen has recently open at 5336 Geary Blvd. (at 17th Ave.) in the Inner Richmond. 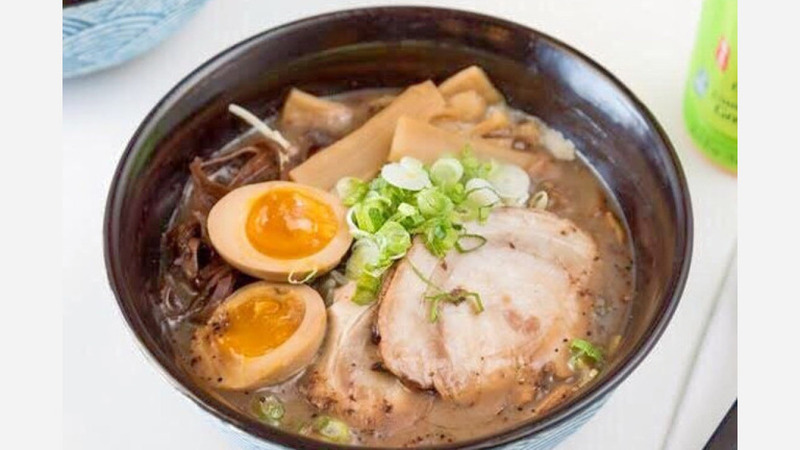 This new ramen specialist offers three types of rich tonkotsu pork broth: regular, spicy "red garlic" and black garlic. They're offered in two sizes: petite "challenger" bowls, which allow customers to sample more than one flavor, or full-sized "warrior" bowls. The menu also boasts a few Japanese appetizers, like gyoza, takoyaki and edamame. There's no beer and wine license, so beverage options are currently limited to Coke, Sprite and Calpico, a milky and acidic Japanese soft drink. Ichiraku Ramen has gotten good reviews thus far, with a four-star rating out of seven reviews on Yelp. Jeff W., who was among the first Yelpers to review the new spot on May 18, said, "I came here for the soft opening. The ramen was good, and the broth was great. It consisted of the thinner style of noodles, which I prefer." Yelper Malaya C. added, "Pretty decent ramen compared to what the Bay has to offer in this price range ... All in all, pretty fair price for a small (challenger) bowl and takoyaki at about $12. Would recommend this place if you want a tasty, light meal for a decent price."